I am leaving in a few minutes to attend the investiture ceremony for Arizona's newest Supreme Court Justice, Ann Scott Timmer. 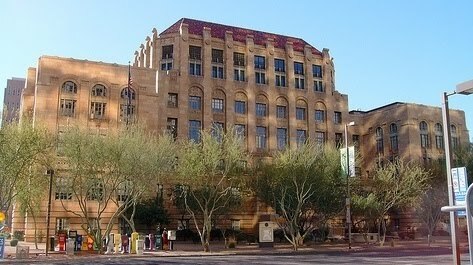 Judge Timmer was my first law clerk while she was still a student at Arizona State University School of Law. Upon graduating from law school, she went on to work for a prestigious law firm in the Phoenix area. After proving her worth as an attorney, she became a Maricopa County Superior Court judge and, later, was appointed to the Arizona Court of Appeals. Now she will be a judge on the Arizona Supreme Court, making decisions of great import to our state and our country. Judge Timmer has excelled at every level, and I'm confident that with her on Arizona's highest court, we are all in good hands. Congratulations Judge Timmer. Gary Frank, has been a courtroom litigator in the Family Law arena for over thirty years, and is a strong and committed advocate for his clients. In addition to being a litigation attorney, Mr. Frank has acted in the capacity of a Judge Pro Tem in the Maricopa County Superior Court. This has given him an understanding of the inner-workings of the court, and a unique perspective that the majority of attorneys lack. He has also acted, for many years, as a professional mediator of Family Law disputes. If you are in need of a consultation regarding any area of Family Law, please do not hesitate to give our office a call today at 602-383-3610; or feel free to contact us through our web site at www.garyfranklaw.com; or by email at gary.frank@azbar.org. We look forward to hearing from you.